Size 5" wide by 6.5"
This is a large shield patch from the National Yo-Yo Contest held in Chico, CA, each October. Usually, Bird in Hand made both a large and small shield patch for their event. 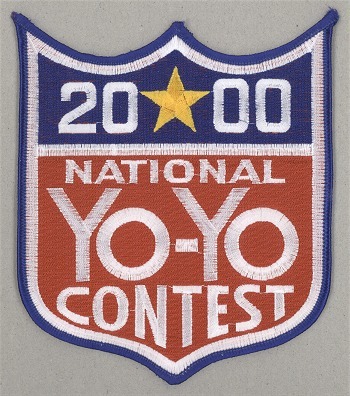 Pictured here is the large dated version of the 2000 Nationals patch.